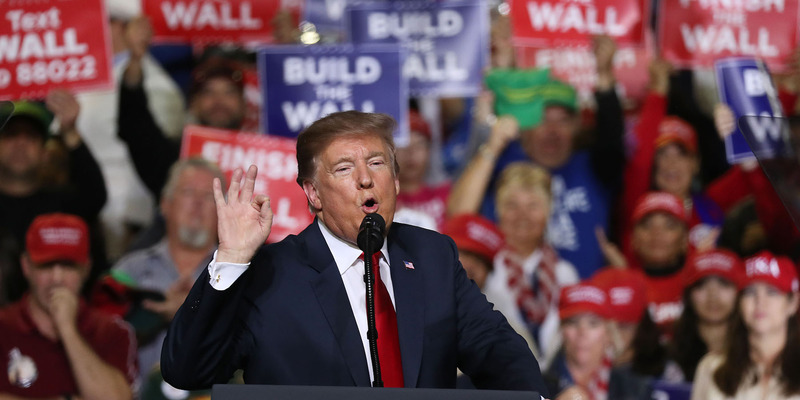 US President Donald Trump speaks during a rally in El Paso, Texas, on February 11, 2019, calling for a border wall to be built. It includes $1.375 billion to build a barrier at the border - less than a quarter of the $5.7 billion Trump demanded in December, triggering the first shutdown. A lead Republican negotiator said lawmakers "hope" Trump will sign the bill, and that the White House had been kept up-to-date. It would also need to pass both houses of Congress. This is 24.1% of the $5.7 billion that Trump said he wanted in December. Congress's refusal to sanction that funding led to large parts of the federal government shutting down for 35 days, the longest period ever. 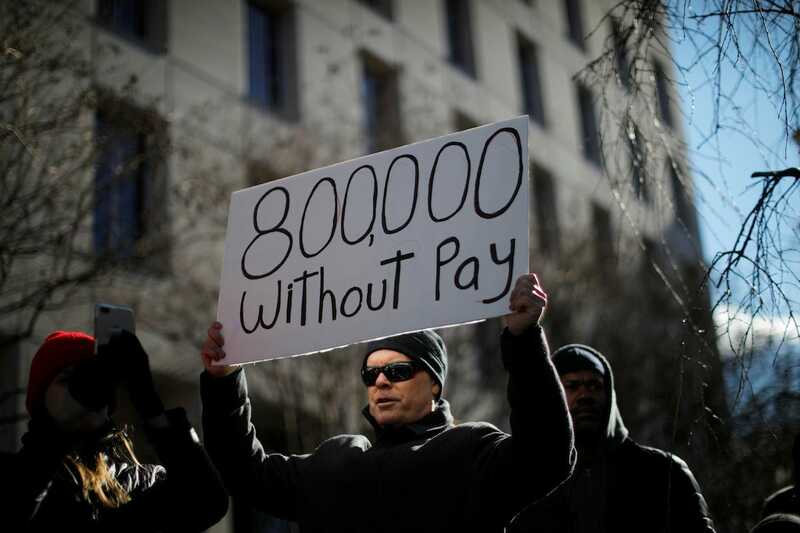 A demonstrator holds a sign, signifying hundreds of thousands of federal employees who won't be receiving their paychecks as a result of the partial government shutdown, during a "Rally to End the Shutdown" in Washington, DC, on January 10, 2019. 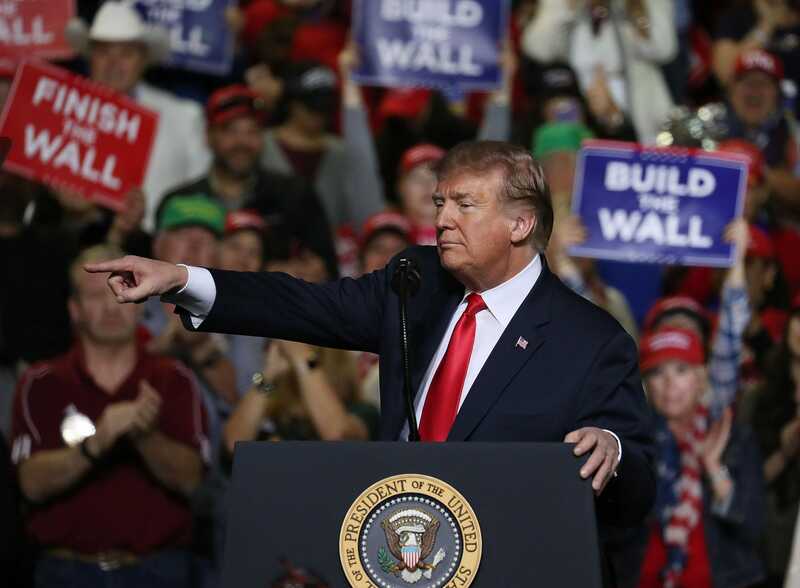 Trump speaks during a rally in El Paso, Texas, on Monday. "With the government being shut down, the specter of another shutdown this close, what brought us back together, I thought tonight, was we didn't want that to happen," he said, according to the AP. Shelby said that the "White House has been consulted all along." When asked whether Trump would support the deal, he said: "We certainly hope so." "They said that progress is being made with this committee," Trump told the crowd, the AP reported. "Just so you know, we're building the wall anyway." Beto O'Rourke speaks to thousands of people gathered to protest President Donald Trump's border wall in El Paso, Texas, on Monday. 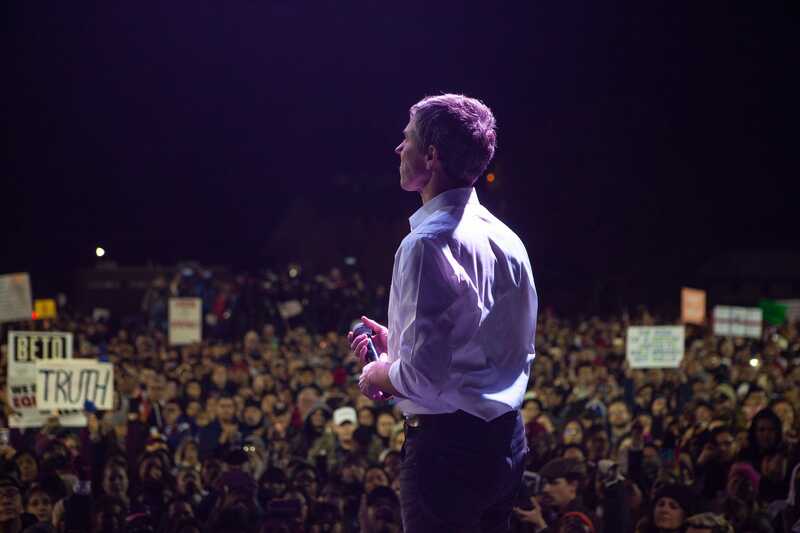 While Trump spoke, Beto O'Rourke led an anti-wall march and rally through El Paso, his hometown. O'Rourke, as well as local politicians and law enforcement officials, have repeatedly challenged Trump's claims that a border wall is necessary, citing federal statistics as well as local experience.